Crested dogstail is a compact tufted perennial grass. It is a comparatively low grass with a leafy base of flat smooth leaves that fill out at the bottom of a mixed grass sward. Its flowers and seed heads are born up higher (up to 50-75cm) on thin wiry stems which resist grazing so can be found persisting right through to seeding even in short heavily grazed pasture. The heads themselves are quite distinctive, compact and regular in shape. Crested dogstail is found in in a wide variety of lowland grasslands. It is a characteristic component of traditionally managed unimproved meadows (MG5) and grazed pasture. It grows well in a range of neutral to base-rich, fairly well-drained or damp soils, but can fail on sites prone to water-logging, or drought. It is not particularly tolerant of shade and can be shaded out by other plants in tall dense grassland which is not grazed or mown frequently enough. In the past this seed has been used to reseed upland sheep pastures and for lawns and parkland. Being a short-lived perennial which regenerates from seed it does depend upon periodic disturbance from mowing and grazing to create gaps for recolonization, and on self-seeding (which occurs during hay-making, or in pasture as its seed heads are held on wiry stems which are resistant to grazing). 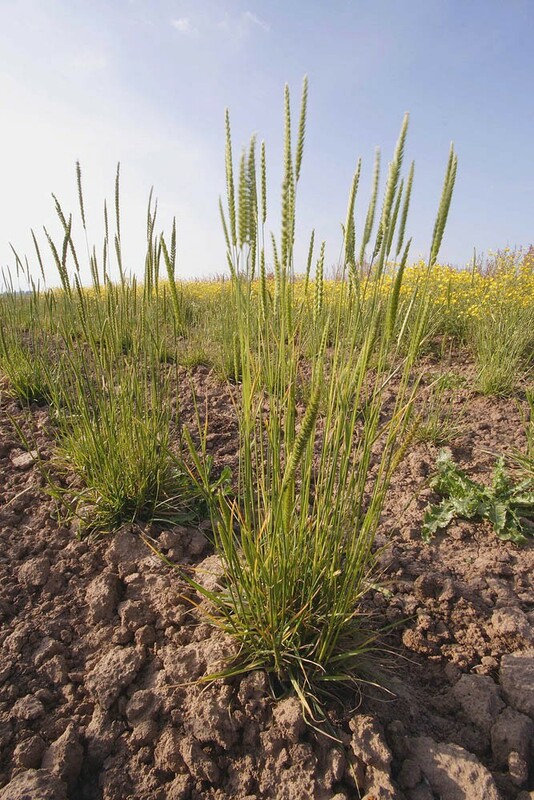 Crested dogstail has a combination of very useful growth characteristics which make it invaluable as a component of meadow seed mixtures, and are the reason it features prominently as the foundation grass for most our seed mix specifications. Crested dogstail seed can be sown at any time of the year when soil conditions are suitable. It is good companion grass for wild flowers. Being a low growing grass of moderate vigour it does not outgrow or smother perennial wild wild flower seedlings. Young crested dogstail plants are vigorous enough to hold their own space and can, when included as a significant portion of a sown mix, moderate the expansion of more vigorous grasses (eg fescues) and weeds during the establishment phase. Crested dogstail is a short-lived perennial. Consequentially as a newly created sward matures the ageing dogstail plants recede, giving up the space they have held to late developing wild flower plants. Over time this process continues with cycles of die-back and recolonization. Overall in our experience crested dogstail in a meadow mixture helps produce a more balanced sward in the short term by moderating grasses like red fescue which otherwise have a tendency to grow out during the establishment phase to a dominant position, and in the longer term by producing a more dynamic mosaic of growth and recession. Good grassland management is important to the long-term persistence of crested dogstail in grassland. 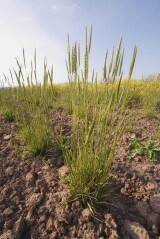 The meadow management cycle gives plants an opportunity to flower and shed seed during hay-making. Subsequent aftermath grazing or mowing plus harrowing in autumn will help keep the sward short and open which will encourage growth and regeneration. It does not thrive in tall grassland which is only cut infrequently. Nor does it survive well in continuously mown lawns with no opportunity for self-seeding . The leaves are palatable, good for grazing by livestock but with most of its leafy growth low to the ground its thin wiry top growth does not contribute much to hay yields.